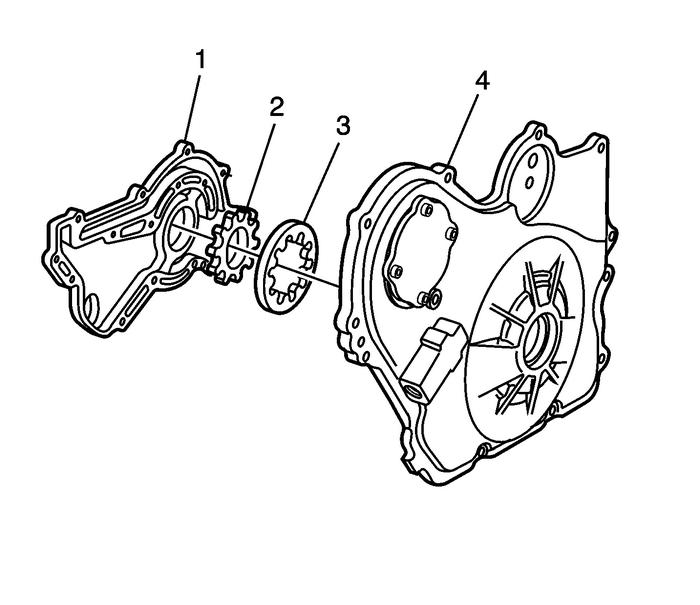 Lubricate all oil pump parts with engine oil.Install the inner gear-(2) into the outergear-(3). Note:If gears are improperly installed in the front cover, thegerotor cover will not bolt on. Install the gears together into the frontcover-(4) with the hub of the center gear facing thefront cover. 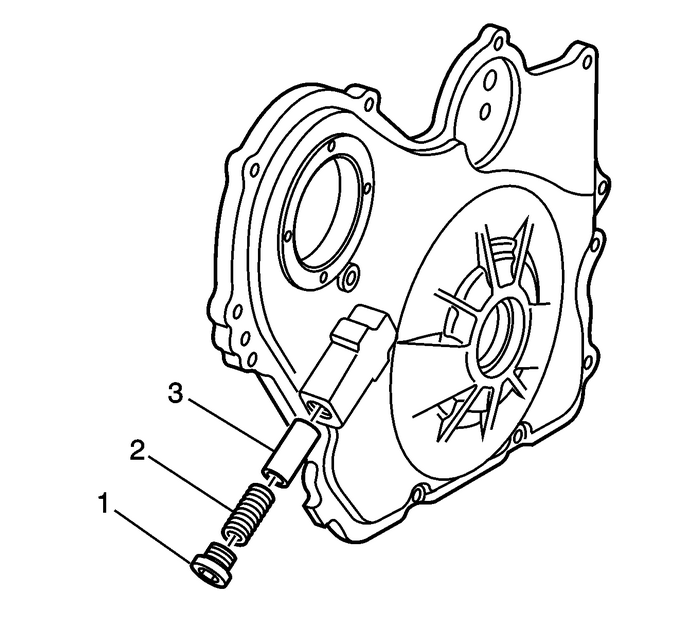 Install the oil pump gerotor cover-(1) and boltsand tighten to6-Y(53-lb-in). Install the pressure relief valveplunger-(3).Install the pressure relief valvespring-(2).Install and tighten the pressure relief valveplug-(1) to40-Y(30-lb-ft).